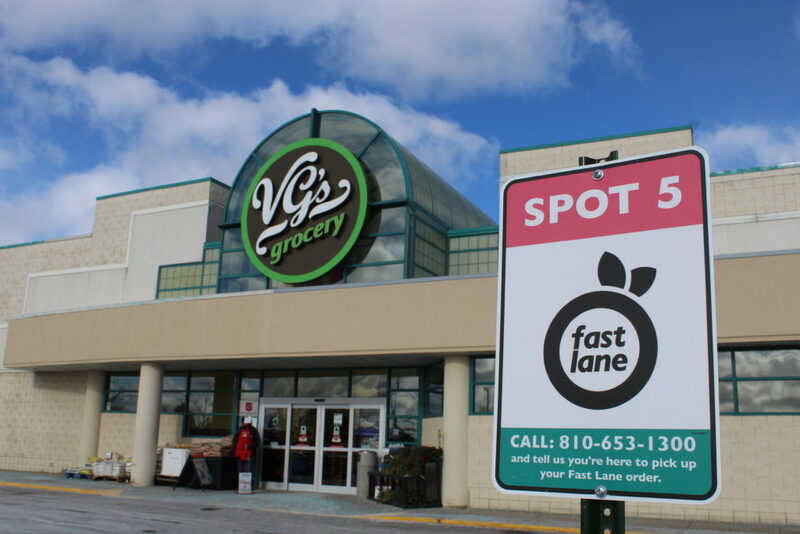 GRAND RAPIDS, Mich. – For families on the go or anyone short on time and looking for quality and convenience, Fast Lane is now available at the VG’s Grocery store in Caro and the D&W Fresh Market in Kalamazoo. The stores join Family Fare Supermarkets, Forest Hills Foods, D&W Fresh Market and VG’s stores throughout Michigan in offering Fast Lane, the SpartanNash click-and-collect program that provides a seamless online grocery shopping experience. Store guests at the VG’s Grocery (located at 1520 W. Caro in Caro) and the D&W Fresh Market (located at 2103 Parkview Ave. in Kalamazoo) can now join the Fast Lane, allowing them to easily order their groceries online at shopthefastlane.com and pick them up curbside. Kalamazoo – 2103 Parkview Ave.
Fast Lane personal shoppers are also SpartanNash associates, allowing the company to own the experience from start to finish and enabling personal shoppers to build relationships with Fast Lane customers. Currently, 60 SpartanNash stores in Michigan, Minnesota, North Dakota, South Dakota and Wisconsin offer Fast Lane as a convenient online shopping option for Family Fare Supermarkets, D&W Fresh Market, Family Fresh Market, VG’s Grocery and Dan’s Supermarket store guests.